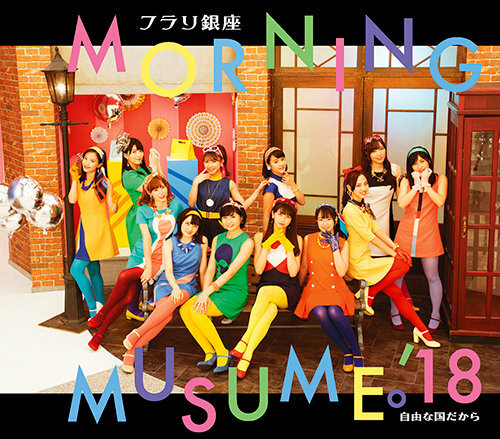 Morning Musume ’18 will release their next single on October 24. The announcement was made at the group’s 21st anniversary event at Omiya Sonic City Dai Hall. Furari Ginza is written and composed by Tsunku and arranged by Hirata Shoichiro. Jiyuu na Kuni Dakara also has lyrics and composition by Tsunku and is arranged by Okubo Kaoru. The bonus track Y Jiro no Tochuu is written and composed by Ohashi Riko and arranged by Takahashi Shuhei. 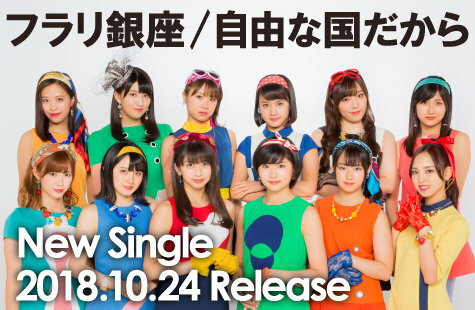 This will be the last single to feature 10th generation member Iikubo Haruna.